Turkey's main opposition Republican People's Party (CHP) has revealed it wants to create a $200 billion "mega city" in Anatolia. On the campaign trail for Turkey's June 7 general election, CHP leader Kemal Kılıçdaroğlu told reporters on Thursday that the new project would be implemented in 2020 and completed by 2035. 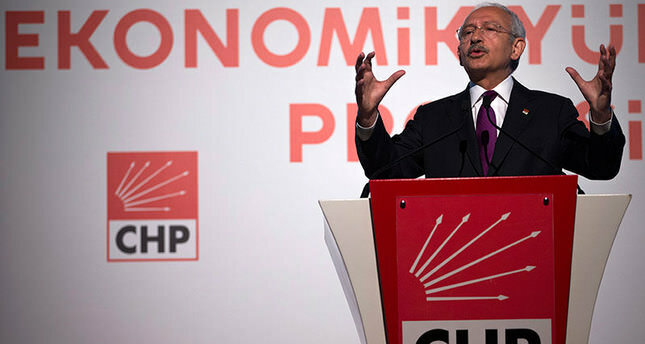 Speaking in Istanbul, Kılıçdaroğlu claimed the new city would be "the project of the century" and become an economic and energy hub between East and West. Kılıçdaroğlu said that the ambitious plan would compete with three other major world projects-the Initiative for the Integration of the Regional Infrastructure of South America, the Kunming-Singapore Railway Project and China's 21st Century Maritime Silk Road Project. "There are 58 countries that are only 4.5 hours flight distance from Turkey which means 1.5 billion people and a $21.6 trillion market," he said. Claiming that the project will create $147 billion in added-value for the Turkish economy, Kılıçdaroğlu said: "It will provide employment opportunities for more than two million people and cost $200 billion including 20 percent public investment and 80 percent private investment." "With this project, we will use the power of Turkey's geopolitical and population power." The "mega plan" is one of the biggest CHP proposals ahead of the upcoming general election. The party presented its election manifesto called "A Liveable Turkey," a four-pronged strategy focusing on the economy, education, the judiciary and politics, on April 19. The CHP says it wants to improve the country's economic policies by raising the minimum wage, improving conditions for the poor, retired and subcontracted laborers, as well as supporting tradesmen plus small- and medium-sized enterprises.